Offered Jerald Butler pg from Florida. Anyone know anything about him? I'll be completely honest, he wasn't even on my radar as possible options. This is the 1st I'm hearing of him. 0 previous posts referencing him on this board. I'm just now digging up info on him. On you tube he looks like a big boy with hops. Wow this came out of left field. I remember him being mentioned a couple months ago, but just assumed things had died. I was (and still am) intrigued by his game, but with our seemingly good position with the other PG's, this move is a tad confusing to me. Unless they see him more of a wing or plan on taking two guards. Mid-July tweet said he wanted to take officials to WV, Vandy, and VA Tech. Recent offers from Temple and TCU. No jump shot highlights. But he does have a floater. He said he is working with the staff to schedule a visit to Butler as soon as possible. Hell Yeah. Slick passer who likes to mix it up inside with the bigs. Other team's players, "Uh, that's your point guard?" All Day. He's deceptively quick on his feet. And he's built like a freakin' tank. I hope this offer is a sign that this staff really wants multiple PGs in this class and not a sign about how they feel with those who have been offered. I'm pretty confident it's the former. Last name is perfect, reminds me a ton of Rosey, beatable list, etc. - Dude is built like a truck and gets to the rack. - Sneaky athleticism. Go to around 5:50 to see his putback over two people. - Has a jumpshot! @ 2:44 he hits a three. - He does get beat by Brown on defense once, but got a nice steal and conversion later in the game. "Butler said after the game he would take on more of a leadership role as he tries to lead Westminster back to state. Have to like the fire. Who would you rather have playing in the Big East- Bede or Butler? I'd take Butler. Size does matter. So does skill and quickness, especially at the PG position. Without question I'd rather have Bede, and so would 99.9% of programs. But ideally we get both. So you are saying Bede is quicker and more skilled than Butler and that trumps 5-6" in height. What I like about Butler that I haven't seen in highlight videos of Bede is ability to go over people and can get to the bucket with either hand from either side and finish. 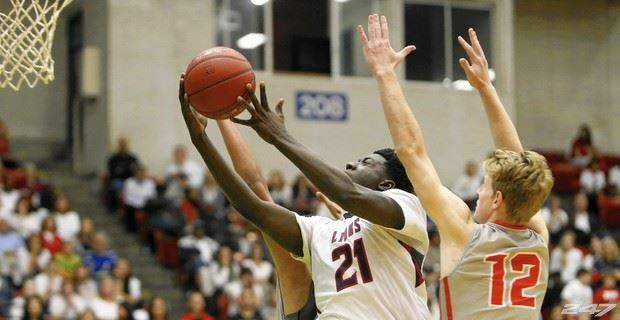 I like a guy that can not be taken down low and can see over the top of his defender. this is a silly debate. they are both #good. and if we have have both that would be great. edit: Jared's post on the front page indicates that Butler shot over 40% from 3. I would hesitate to say that he has zero outside shot. I'm pretty confident that he's quicker and more skilled than Butler and I think those things are more important than being 6-4 for PGs.